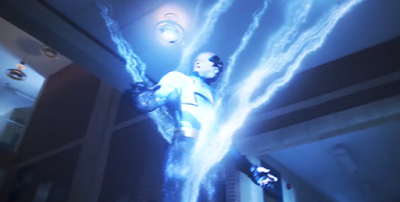 Black Lightning debuts Tuesday, January 16th at 9pm following the mid-season premiere of The Flash. Currently, there are no plans to bring Jefferson Pierce across the Multiverse to team up with the rest of the DC TV heroes, but they once said that about Supergirl as well. Are you excited to check out Black Lightning? Starring Cress Williams, Nafessa Williams, China Anne McClain, Christine Adams, Marvin ‘Krondon’ Jones III, Edwina Findley, James Remar and Damon Gupton, Black Lightning premieres on Tuesday, January 16th at 9pm following The Flash.